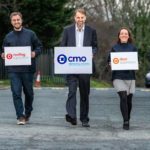 The online merchant formerly known as Construction Materials Online has recently undergone a re-branding exercise to become cmostores.com. PHPD spoke with CEO Andy Dunkley, to discover more about the transformation and what the future holds for this growing business. Ordering building materials online is a growing trend. The announcement in January of sales growth of 46% in 2018 from one such business, cmostores.com, highlights an increasing appetite for ordering materials over online platforms with direct delivery. The online business has also just completed a re-branding exercise and launched a new trade club to allow customers to apply for a trade credit account, offering exclusive incentives and discounts. PHPD caught up with CEO Andy Dunkley to find out more about the company’s plans. Q. What was the thinking behind the recent rebrand? Since Roofing Superstore began trading 10 years ago, we’ve launched three additional online stores and our plans for accelerated growth include further specialist divisions. We commissioned independent research in 2018, consulting with customers and industry contacts. The results recommended consolidating the strength of our business through better awareness of our parent brand and a visual connection to the superstores. Construction Materials Online was already shortened to ‘CMO’ so ‘cmostores.com’ was a natural evolution. Q. The business recently reported a rapid sales growth over the last 12 months (46%); do you anticipate that this level of growth will continue in the coming years? We’re confident our growth trajectory will continue and we have the systems and people in place to support this. We forecast ambitious targets, and our experience combined with the launch of a trade account facility, mean we’re well positioned for the coming years. Q. Do you feel online solutions will eventually replace the more traditional builders’ merchant market? It’s always a challenge to predict the future. Contractors and developers are increasingly moving towards digital solutions and processes across all aspects of their business as a smarter way of working. Building products can be shipped two or three times before reaching an end point destination, which is inefficient. We are increasingly managing orders with delivery straight from manufacturer to customer. This means less handling, effective logistics, improved service and ultimately better pricing, because there are cost savings start to finish. Online purchasing with flexible, time-saving features helps buyers drive efficiencies. Q. The FMB’s recent State of the Trade survey revealed that 87% of builders anticipate that material prices will rise further in the next six months. How well placed are you to help keep costs under control? First and foremost, our business is based on a low-cost business model and we pass on the savings we make by working this way. We’re aware of demands on buyers’ time and are here to make their lives easier. We monitor thousands of prices daily so buyers can rely on us to deliver great prices. Returning customers should know exactly what to expect from us and be reassured by our high-level service. Q. Housebuilders often rely on merchants for guidance when selecting materials. What kind of advice are you able to offer? We’re not just an online store, we also speak to customers every day. Our customer service team answers more than 4,000 calls a week. The team has extensive product training in their specialism to guide customers through the choice of materials we offer. We have direct lines to manufacturers’ technical teams, so if our customer has a specific issue or question, we’ll get answers quickly. We encourage people to call in and speak to us, which is very different from most online platforms.